Yeah, terrific song depicting a seemingly paranoid man's frenetic view of the world, but let me save you some trouble here, it just does not impress the ladies nor in any way, get them in the mood. If anything, you'll find the song makes them a little uncomfortable. To be honest, I'm not even sure if Rockwell himself make out with a woman to this. Of course that's understandable as he was clearly wracked with mistrust of all those around him. The song is unsettling- take away the colorful beat and catchy melody, and it reads like Edgar Allen Poe right before he died. "When I'm in the shower, I'm afraid to wash my hair- I might open my eyes and find someone standing there." Clearly the words of a confused and tortured man who as you see by the end of the song was convinced he was under surveillance by the IRS. An early 80's pop hit, or Brian Wilson sandbox era-esque cry for help? We may never truly know, but we do know this- it's not good make out music, even if your a lesbian. 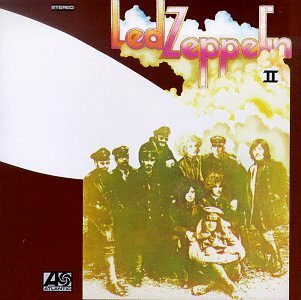 Ed Recomendations- Check out Led Zeppelin II, it's got all you need. Rockwell really sucked the main vein!!!! What a douches bag!!! !